Scratch the pointless singleplayer and this is a five-star game. 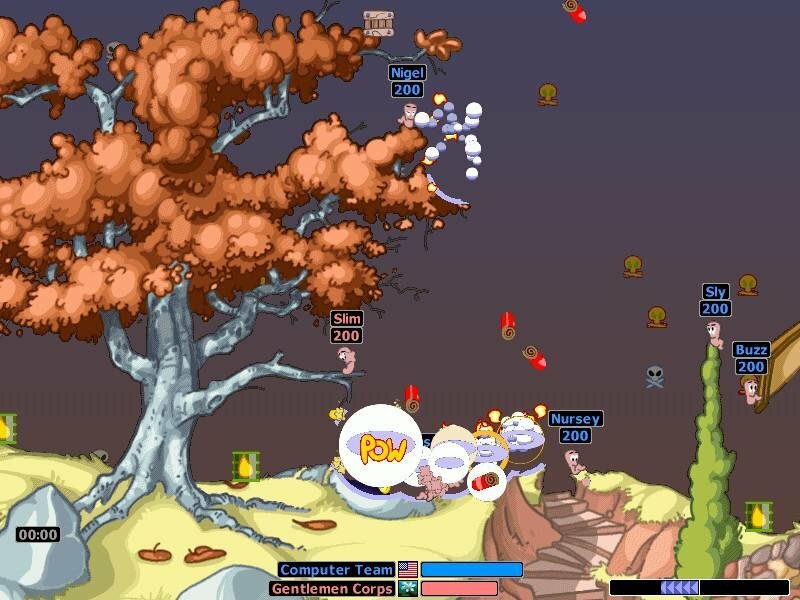 Every game from the Worms series draws with its comical violence, silly weapons and involving strategy. 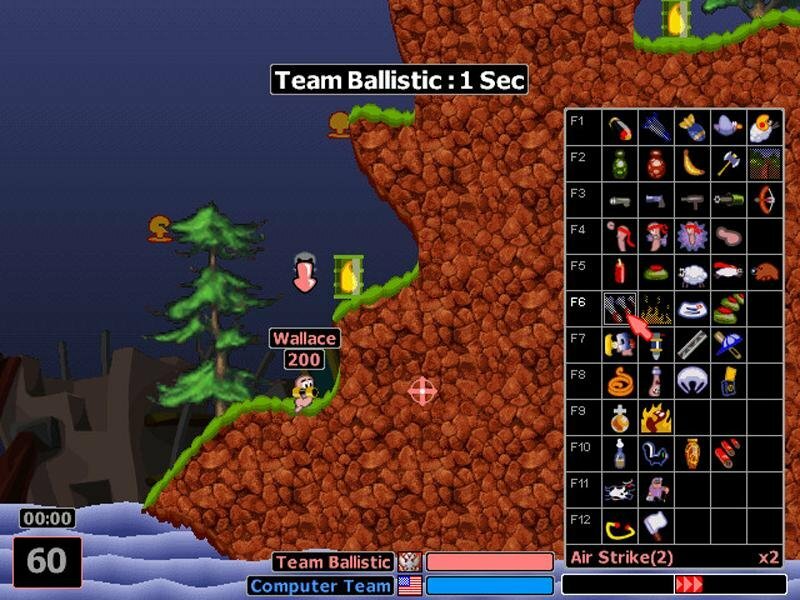 Supporting both online and one-on-one matches on a single computer, Worms Armageddon is often regarded as the best of the series. 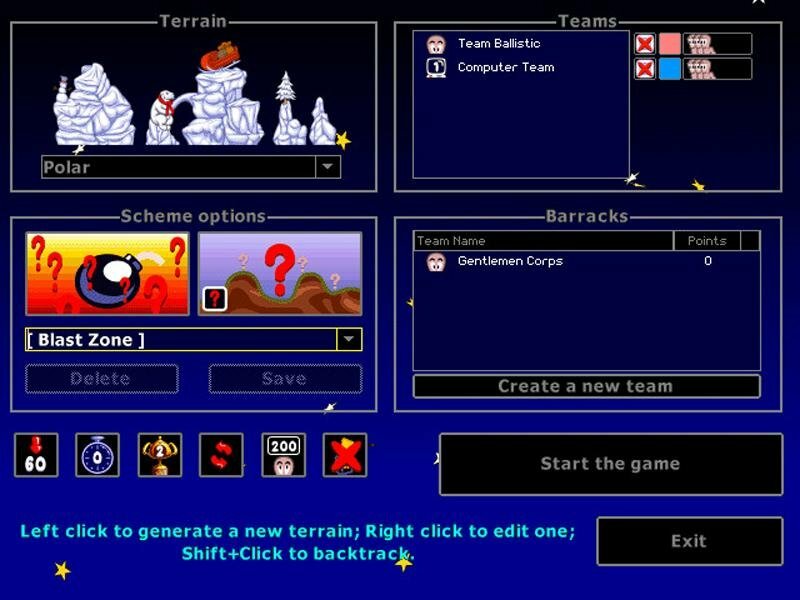 But even with its juvenile humor and cartoony-style gameplay, you’ll find a solid strategy game thrown in there. 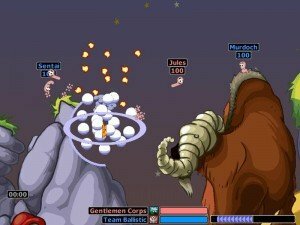 Matches in Worms Armageddon are turn-based between two or more teams that can be either human or AI controlled. Each side is handed an army of squeaky-voiced worms randomly distributed over a 2D battlefield, where they take turns blasting, burning and machinegunning each other into smaller bits. You’re only able to control a single worm per turn, making strategy paramount as to how you’ll inflict maximum damage to the other guy. 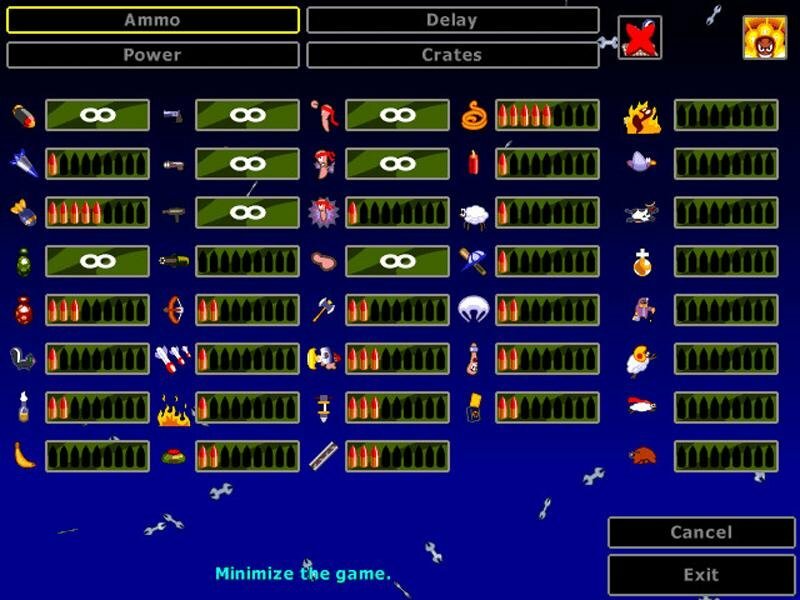 The gameplay is inherently slower because of its turn-based structure, occasionally having the feel of a tabletop game like Chess (albeit with more rocket launchers). 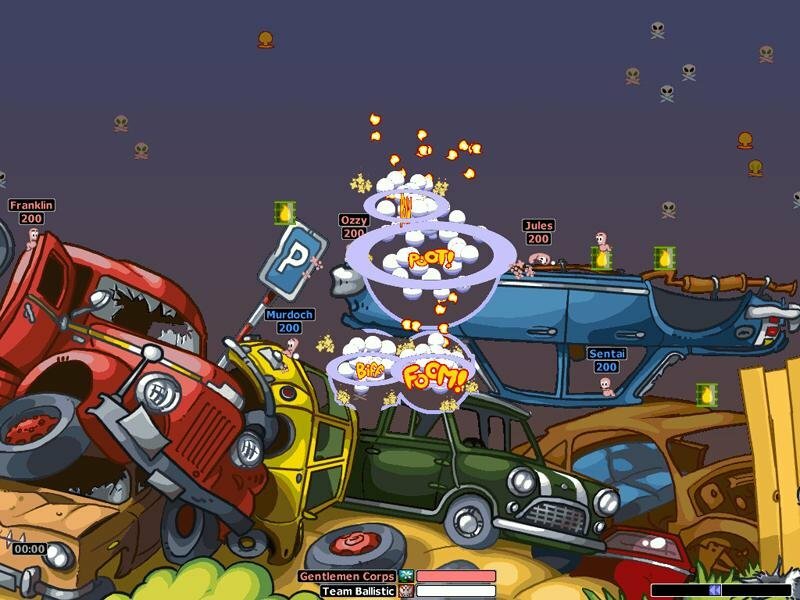 The endearing invertebrates featured in this game come packing some hilarious firepower, ranging from simple shotguns and high explosives to flying sheep or exploding skunks that release noxious fumes. Coming in all shapes and sizes, Armageddon’s 60 weapons and gadgets are distributed logically along twelve rows, making finding things easier than expected. Using these tools of destruction (and in some cases tactical construction) effectively will depend on particular circumstances. The Flamethrower is powerful but has very short range. Napalm Strikes cover a large area but can be easily diverted by strong winds. The baseball bat does little damage but can send worms flying off the map. Shotguns and Longbows have the added ability of allowing two shots instead of one. It seems amazing that no weapon has been thrown in haphazardly, each one having its own intuitive strength and limitation. The game supports both single and multiplayer matches, both enjoying a nice degree of customization. 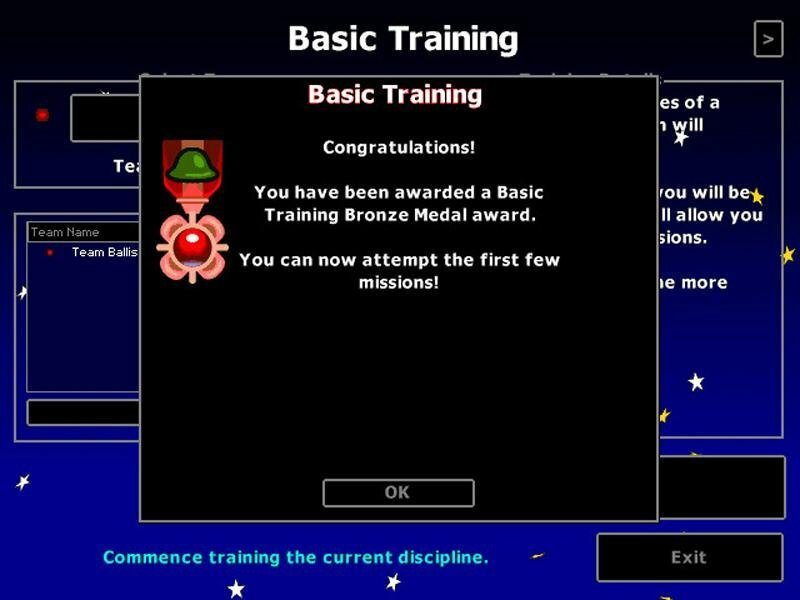 The solo missions task you with specific objectives that require quite a lot of skill, usually involving collecting a crate or killing a worm. 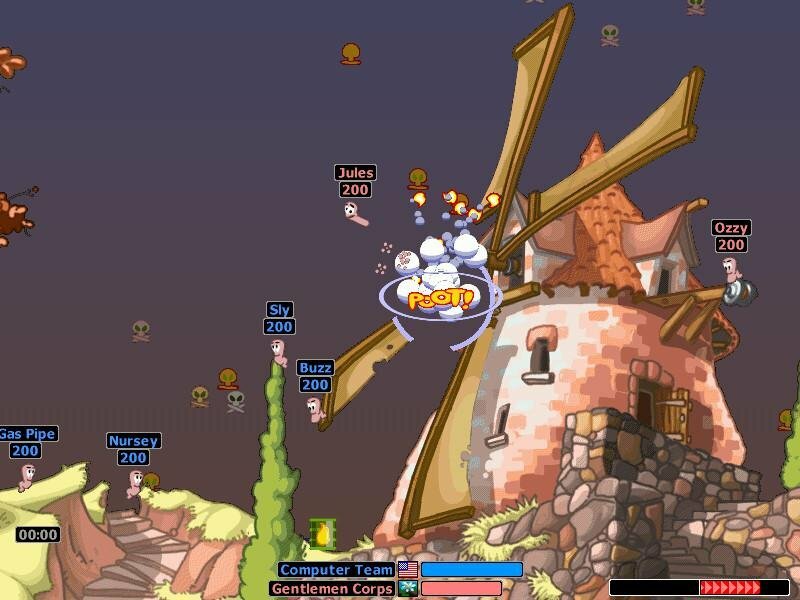 Many target practice missions are also included on the side. But the singleplayer is pretty much filler and not a whole lot of fun, chiefly due to mission difficulty and a predictable AI. 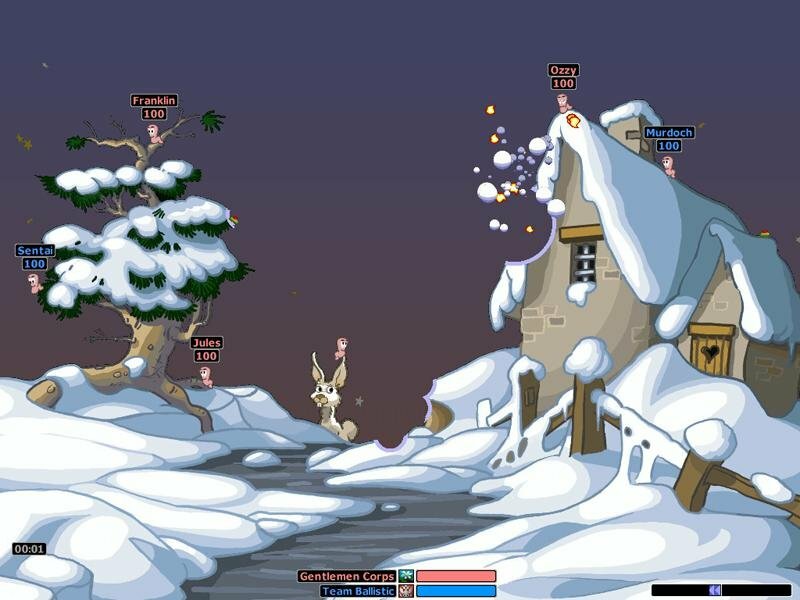 You can fortunately build you own matches thanks to the skirmish mode, which also allows for turn-based multiplayer on the same computer. The only downside to all of this is that you’re pretty much required to play against other people to have fun, as the basic AI is terrible. 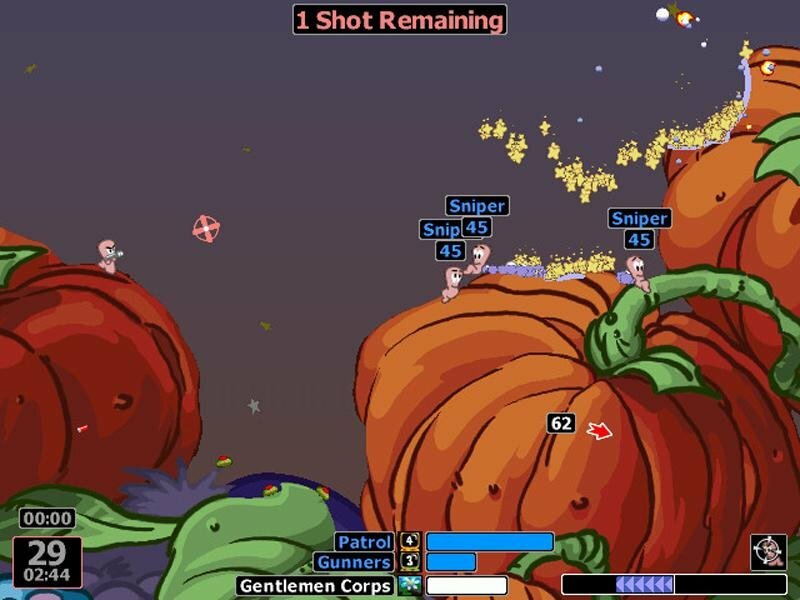 Computer-controlled worms are programmed to use only a handful of weapons, such as the Shotgun, Bazooka or Grenade. When it runs out of its basic armory, while still having more powerful weapons, it will pathetically revert to skipping turns. 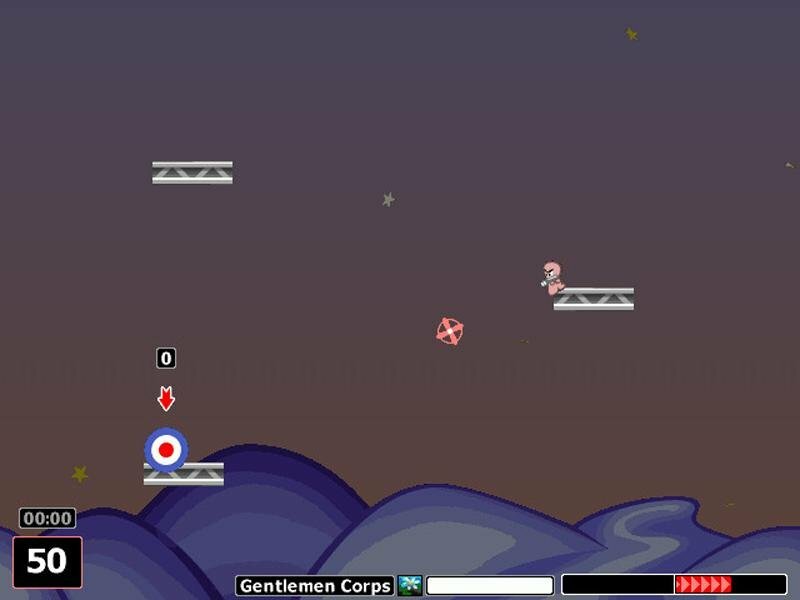 It’s unable to make common sense judgements like not running towards the edge of a map after firing a weapon, or using the Ninja Rope or Jetpack to get to a better position. If anything, the AI makes for good target practice when learning the weapons. 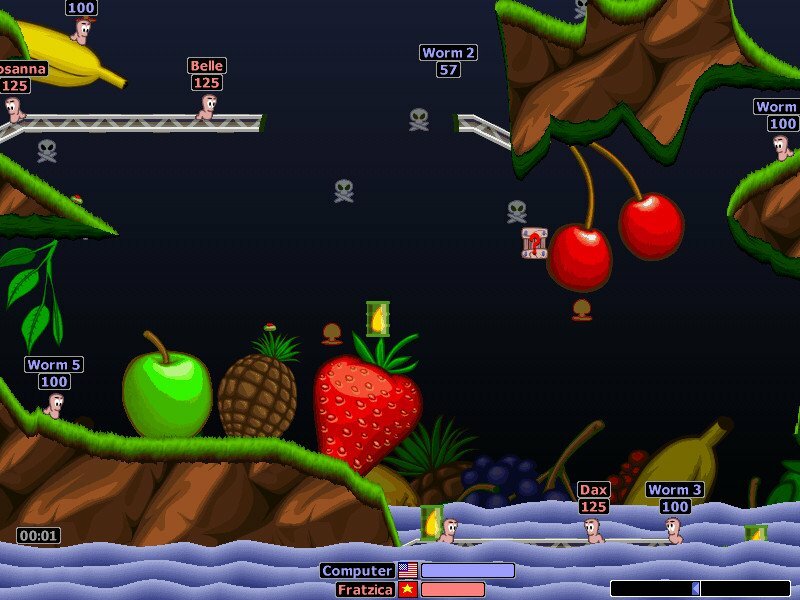 Along with Worms World Party, WA enjoys considerable online attention on GameRanger, and buying it will also allow you to play on WormNET. Both make it easy to find human players online, and encompass the most this game has to offer. Competition is fierce and the strategy remarkable – the toughest, most grueling and spectacular fights are conducted online, so make sure to give it a shot (a fully updated Worms Armageddon will work flawlessly in GameRanger). Probably not. Let us know. the setup.exe folder does not work. Im using power iso and I wasted 500mb of my phone data to download this into my computer. It wasn’t designed for Windows 7/8/10, so no surprise. Ok, How did you know about my operating system is windows 7? 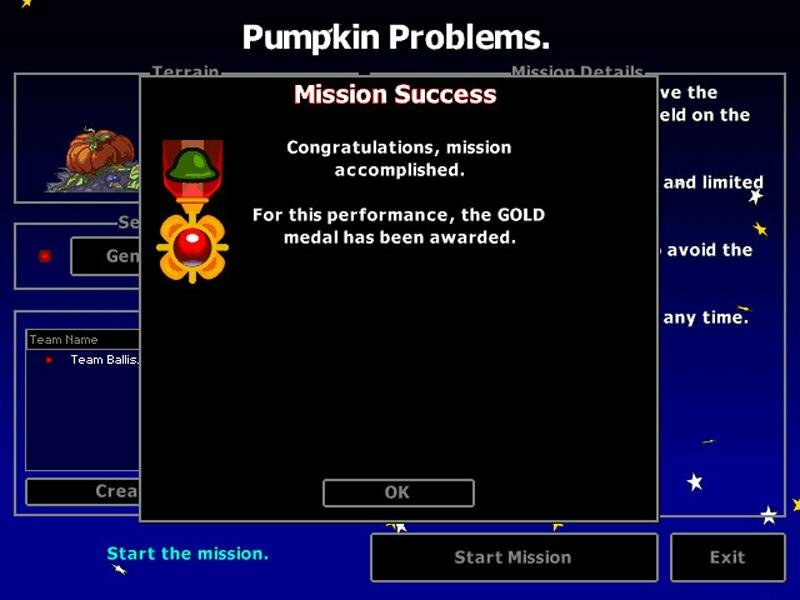 Lol ok. As a general rule old games don’t usually work on modern computers / operating systems. 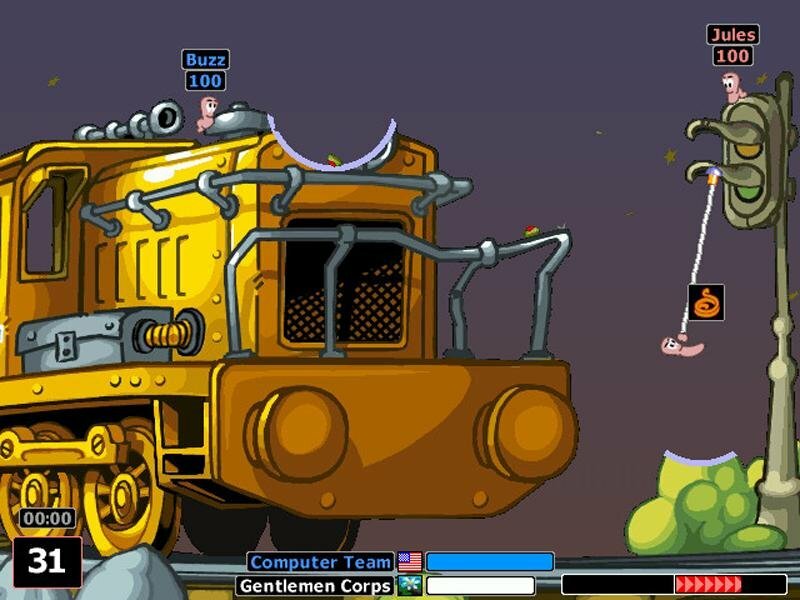 I was able to run it on windows 7. Oh, you just guessed, Im using windows 7/8/10. What am I thinking. 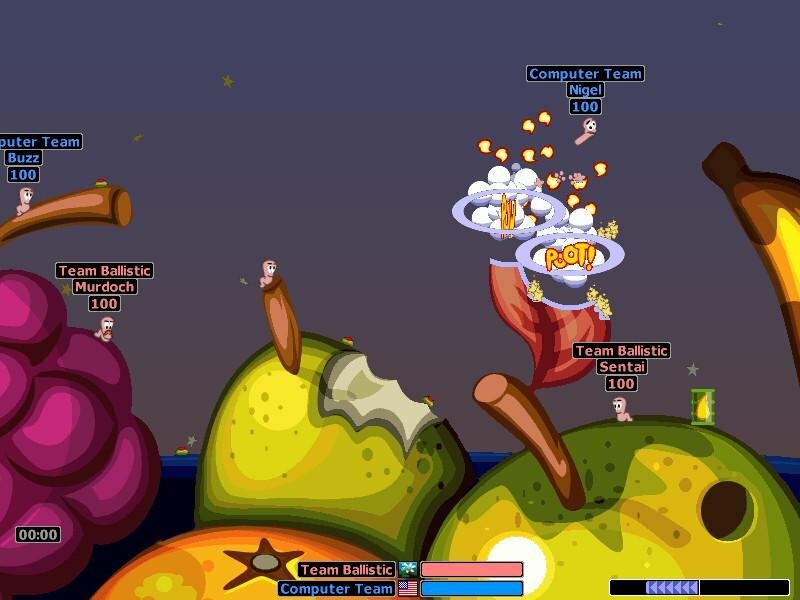 Actually, there is a way to make Worms Armageddon to support modern systems. 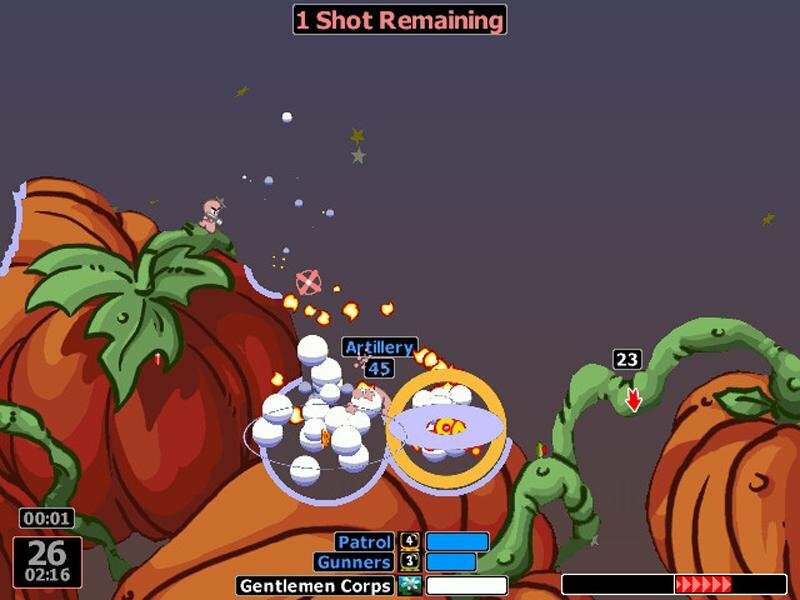 Go to this website: https://worms2d.info/Updates_(Worms_Armageddon) and download the latest patch by Deadcode and CyberShadow (recruited by Team17). I tested it on Windows 7 and it works flawlessly. This patch does also allow support for HD resolutions which is good but still you need to download the “Super Frontend HD” fix for the main menu resolution to fit your screen. 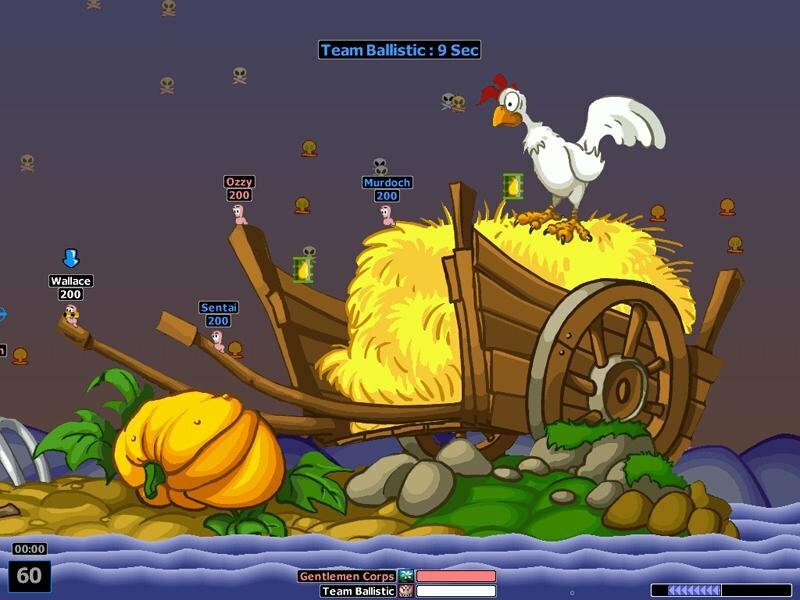 There will be a new patch for WA that will allow cross-compatibility with Worms World Party but you will have to wait until they released it. 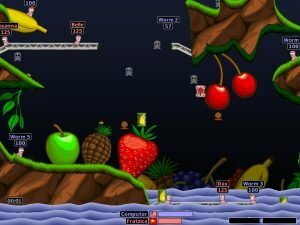 See, the CD version of Worms Armageddon still supports on modern OSes and please thank these two people (Deadcode and CyberShadow) for continuing to support this game for the community to enjoy. For those who have the CD version, go to the “Install” folder of the CD directory and click on the “Install.exe” file to run the game’s installer thus installing the game as normal. Don’t click on the “Setup.exe” file as it does not work. Or, you can download this unofficial installer via this link here: http://worms2d.info/Automatic_Installer. This will automatically detect the CD and install the game as normal. This “automatic installer” does support modern systems. Bara, to answer your question (even though it is late and you might know that anyway), is the image an MDS file? If so, then you must install Daemon Tools or Alcohol 120% to mount it. For others having trouble, refer to my response above this paragraph. If you can’t find the file however, that means your download is corrupted or something. Try to redownload the game. Otherwise, I can’t help you there. You’re better off buying the GOG (or Steam) version instead. Amazing! I love it, it works perfectly on W10. If you have a problem when you install the patch or something, you must restart your PC, after install the game restart it, and then back to the other steps.